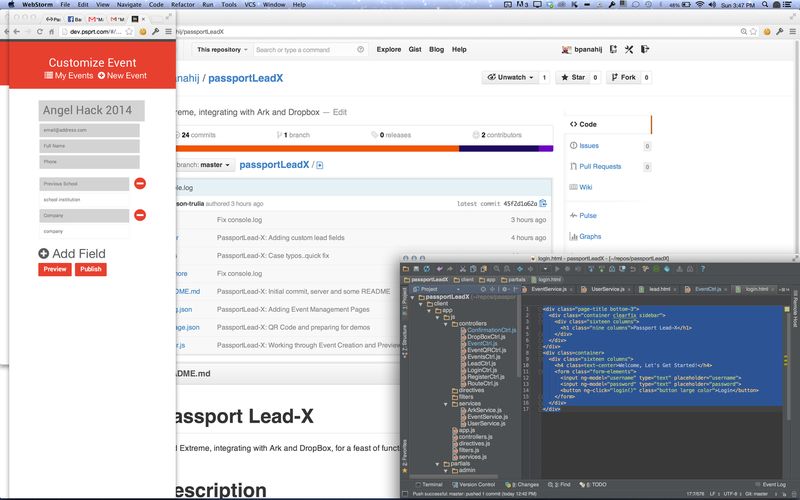 Going into AppHack we were excited to build something to make lead generation easier. We spend the weekend making entering leads easier, and making gathering leads easier. 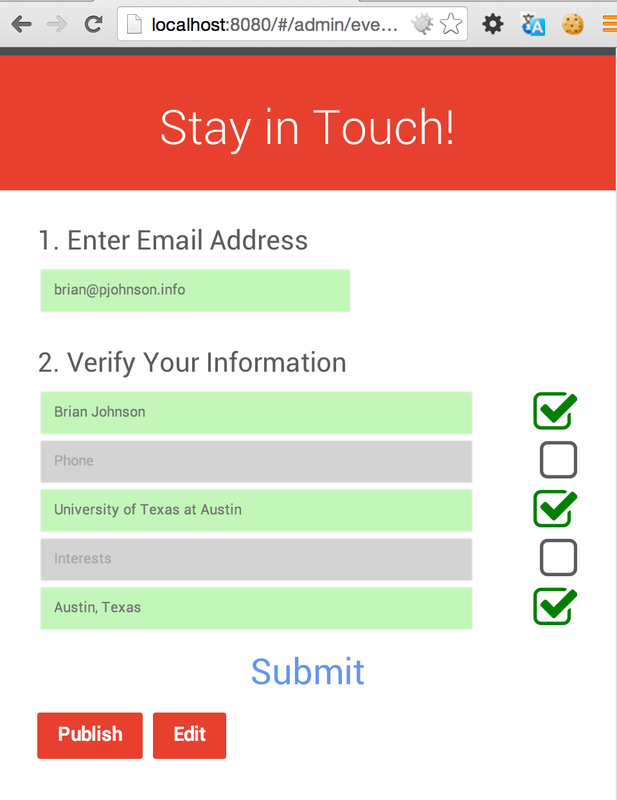 There are two pain points that strike immediately: making lead forms easy to find, and making lead forms fast and easy to use. First of all, in the current face-to-face lead generation model, use either must write down lead information, or they must type in a long URL, and then type in numerous fields. This is usually being done from a mobile device. Easing users efforts is removing these two blockers. We created Passport Lead-X to remove these pain points. Typing in a URL on a mobile device is really annoying. The address box is small and the keyboard is finicky. Also, the surface is not stable and there is usually ambient nose and distraction when using a mobile device. Passport Lead-X solves these pains by generating QR codes for each lead generating event. A sales person meeting people face to face can generate a custom lead form, using our simple UI,. 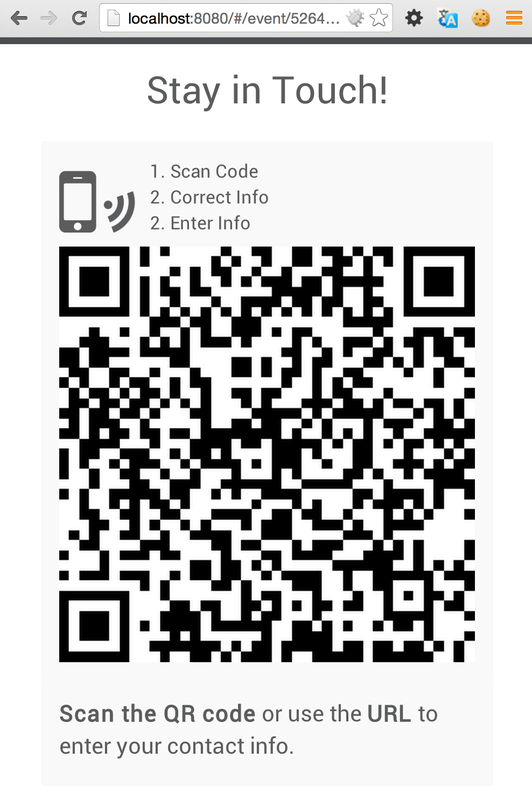 The lead form URL can be accessed by anyone on a mobile device simply by scanning a QR code on the sales persons mobile device screen, or printed materials. Typing in multiple mundane lead fields, like address, location, gender, education, position, company can be daunting and painful. For the same reasons above doing so is tough on mobile. Passport Lead-X solves this by using the Ark API (http://www.ark.com) to find public information about a potential lead using only their email. Using this, Lead-X searches the public information for fields matching keywords, and then populates the values of the lead for fields that match those keywords with the public information. This can potentially eliminate the need for users to type anything but their email, and still provide a full lead. The beauty of this technology is giving the user the opportunity to submit their information, while also making the opportunity for lead generation also include a chance to correct potentially out of date or missing information. After all that hacking and ideating, we won the Best use of The Ark API with a prize of $24K of Ark API Credit. See http://www.hackathon.io/apphack13/prizes for details on prizes. Viewing our project page http://www.hackathon.io/passport there are a lot of great comments from the judges. We want to thank Ark for awarding us their first place, and for making an awesome API that was easy to use and really useful.